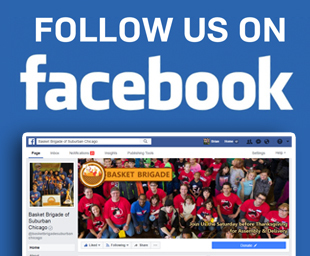 Basket Brigade of Suburban Chicago, Illinois | Providing Thanksgiving Meals to people in need. Our mission is to provide a basket containing a complete Thanksgiving dinner to struggling families within the Streamwood, Hanover Park, Bartlett, Hoffman Estates, Schaumburg, Palatine, Rolling Meadows, Elk Grove, Elgin and South Elgin areas in order to bring a sense of hope, knowing that their community cares about them. Each basket will feed a family of five. 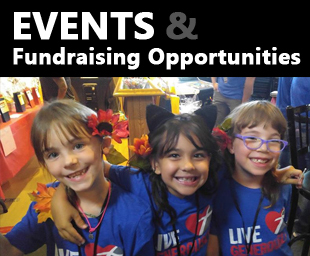 We’ve created this charity with the purpose of bringing together people who share a desire to help others – knowing that the true gift is in the giving. Thanks to our 2018 Board! Thanks to our 2017 Board! Extra Special Thanks to our 2017 board members and planning committee for making our second year a success! We are always looking for new people interested in helping out, so let us know if you want to join the team for 2018! Thanks to our 2017 Volunteers!! 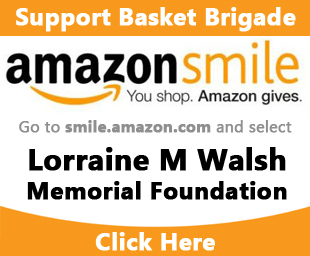 November 20, 2018 – Chicago Tribune article on Basket Brigade! Click here to read the article written on the Tribune Website. Thanks to our 2016 Volunteers!! Special Thanks to our 2016 Assembly Crew! Thank you from the bottom of our hearts to the over 200 Volunteers who showed up to dedicate their time to help us in our mission to deliver 268 complete Thanksgiving Dinners to area residents, friends, and families in need.